Oktoberfest originated in Munich, Germany and is apparently the world’s largest fair attracting about 6 million visitors. The fair is held for about 16 days and is filled with all sorts of German foods like…you guessed it – pretzels. 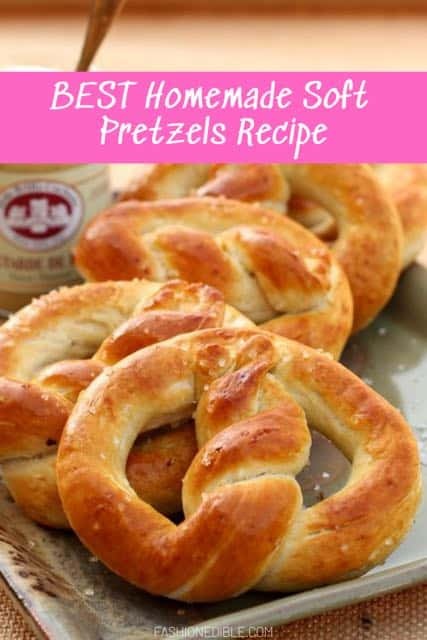 But pretzels aren’t just an Oktoberfest specialty; they’re served at all sorts of fests including Christmas markets and summer festivals. They are a fun appetizers at restaurants and a great snack while you’re waiting at the airport for your flight. 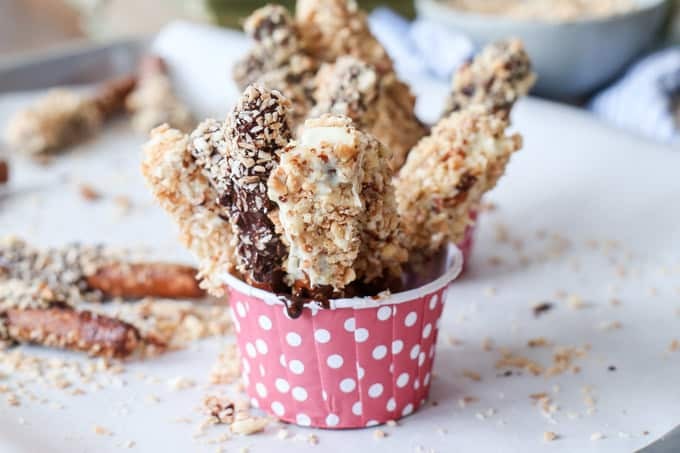 For more snack recipes, try these dipped chocolate pretzel sticks pictured below! They’re even more fun to make at home. 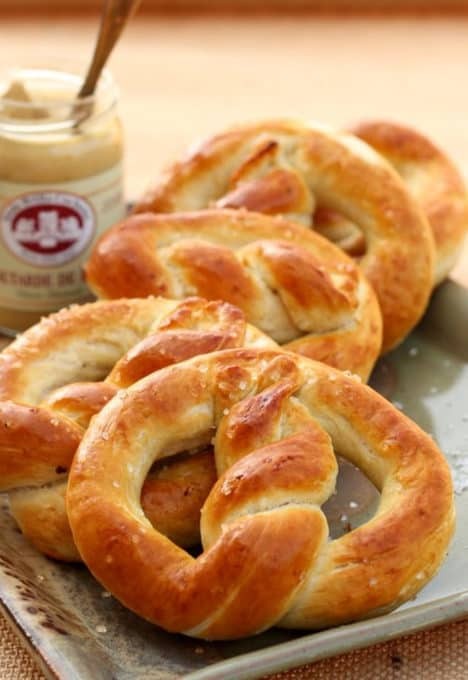 These homemade soft pretzels are as good as Auntie Anne’s pretzels. 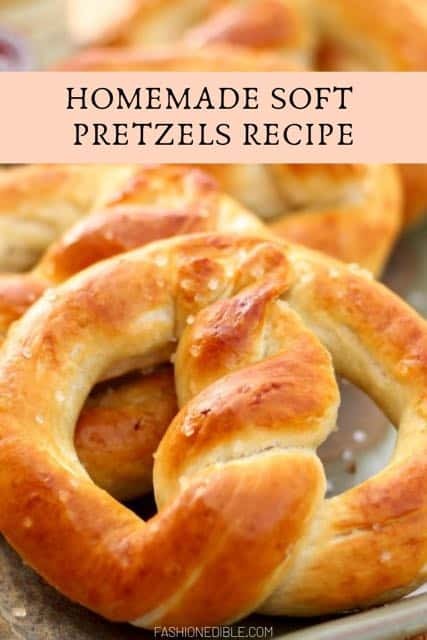 They’re not as greasy, however (though you can add more butter according to each person’s preference), and they’re super easy to make. 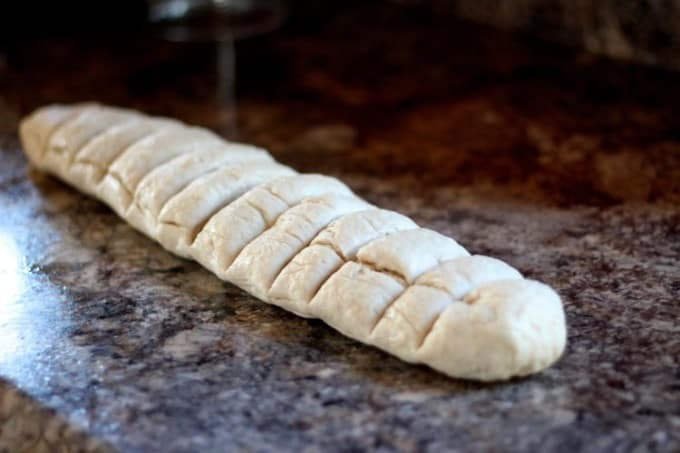 It’s your basic bread prep method plus a few extra steps like shaping your dough into pretzels and dipping them into a baking soda/water mixture. 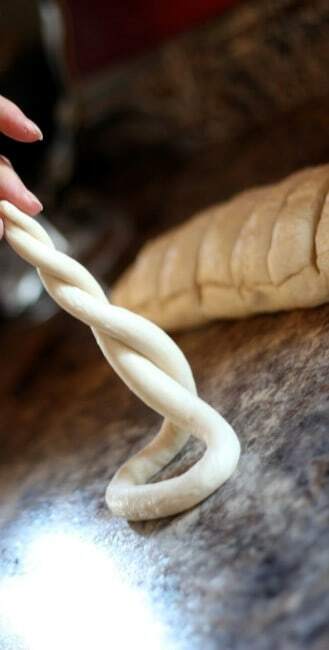 Then a simple bake afterwards as you would bread. I kneaded the dough by hand (since I was visiting my mum when I made the recipe and didn’t have access to a good mixer) but I would recommend using a KitchenAid. 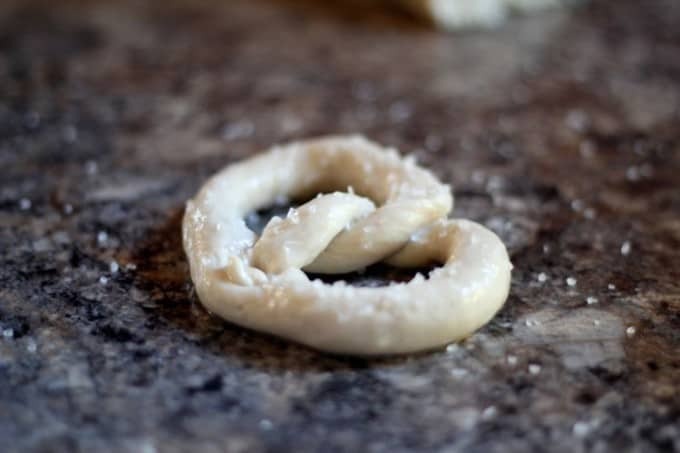 It’s actually pretty exhausting to knead the dough by hand so if you have a machine for it, it’ll make the pretzel dough making process much easier. In a small bowl, mix yeast and 1 tsp sugar with warm water. Allow to stand for 5-10 minutes until mixture becomes foamy. In a large bowl, mix together flour, 1/2 cup sugar, and salt. Add in oil and mix by hand. 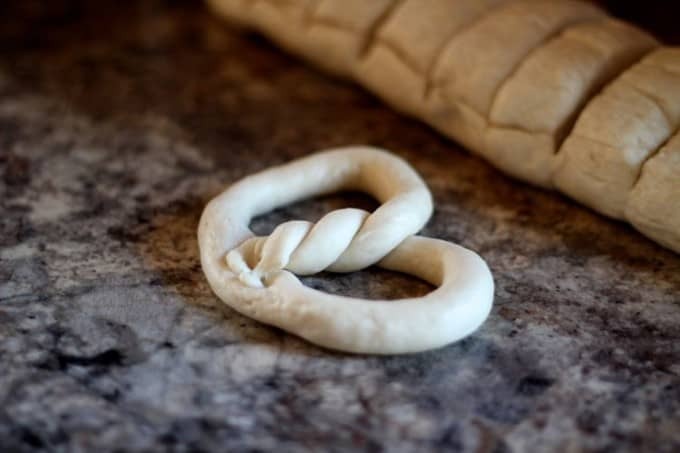 Add in yeast mixture and use a mixer to thoroughly mix dough together. Add in an extra 1-2 T water if dough is too dry to work with. 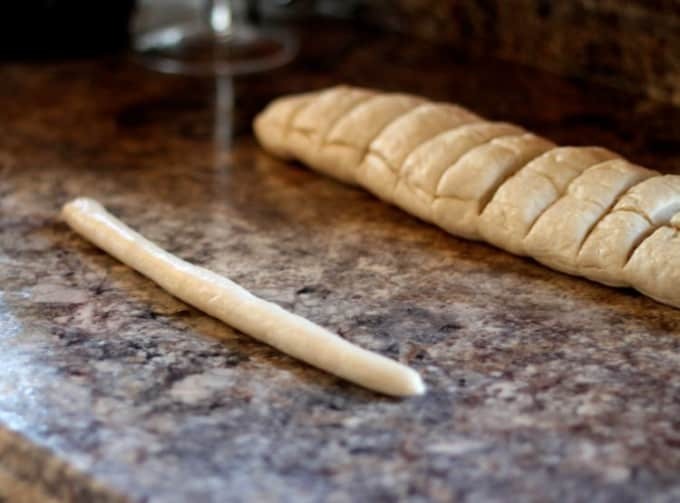 Knead for about 5 minutes (7 minutes by hand). Form into a ball and lightly oil ball. Place in large bowl and place a towel over top. Place in a warm area and allow to double in size. In a medium bowl, mix baking soda and hot water together. Preheat oven to 450F. 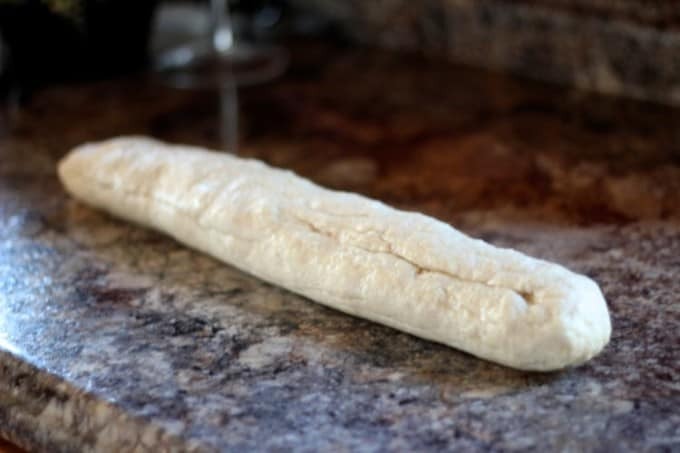 Once dough has doubled in size, form into a log shape. 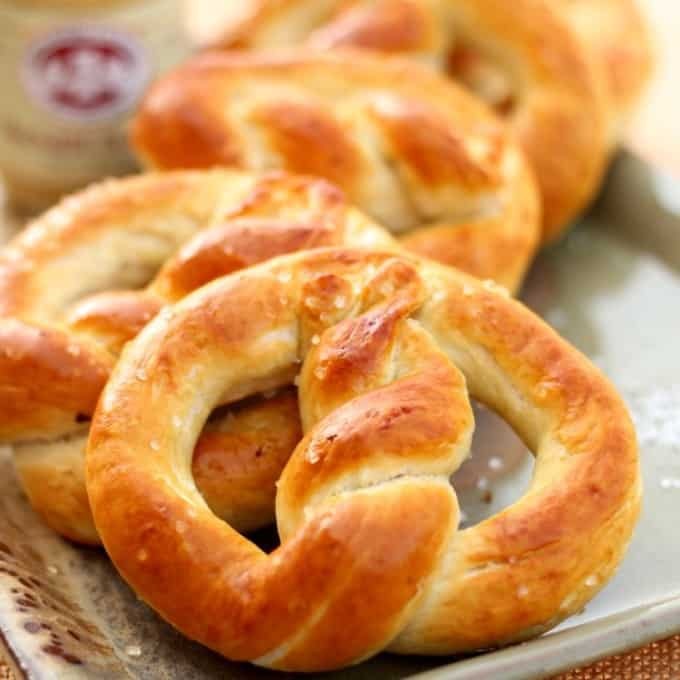 Cut into 12 equal pieces, roll out and form each piece into a pretzel. Dip pretzels in the baking soda/water mixture and place on greased baking sheet (6 pretzels per sheet). 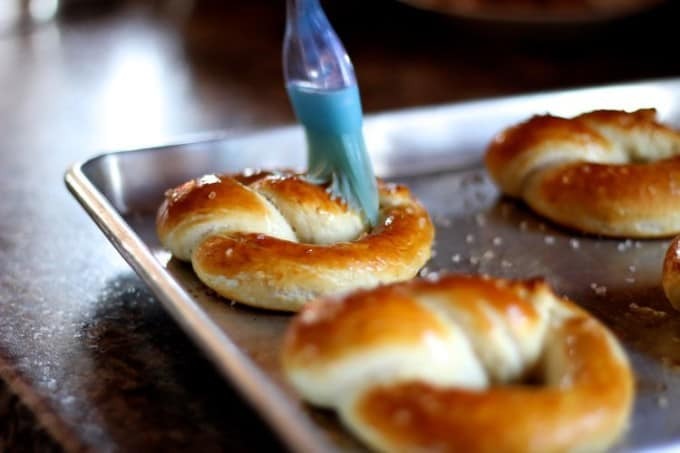 Sprinkle with kosher salt. Bake in oven for 8 minutes until lightly browned. Remove from oven and brush with melted butter.